Leftovers? Hard Boiled Eggs 5 Ways! Growing up as a young child in the late 60’s and 70’s, snacks were pretty simple. There was a lot of grape jelly Wonder Bread, buttered saltines, sliced bananas in milk and, of course, hard-boiled eggs. My mother had four children to tend to, and in those days, snacking didn’t receive the attention (or advertising) it gets today. And as Easter approaches, I start thinking about those hard-boiled eggs. Definitely one of the least processed food items of my youth. Eggs offer a fair amount of protein and vitamin D.
1. Breakfast or snack. I know, obvious. 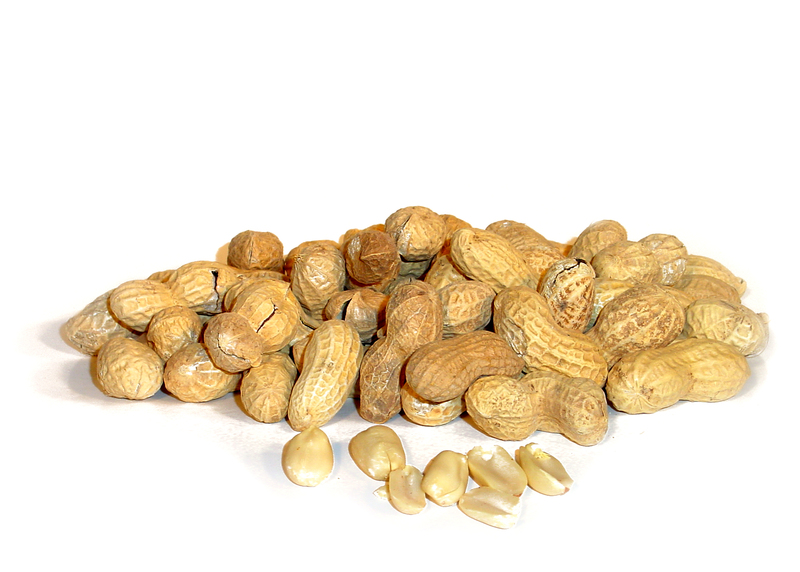 But they are so great to have on hand for a quick breakfast, to pack in a lunch, or snack on after school with a grind of salt and pepper. 2. Deviled. This is the one dish I take to an event that is always well received. Simple to make. A food processor is handy here, and I found a cake decorator at a yard sale to do the filling. This is the recipe I use. Makes those deviled eggs look almost too good to eat. 3. On salads. When I add sliced egg, garbanzo beans and pumpkin seeds, salad becomes a one dish meal. Love this slicer. 4. Egg salad sandwiches. Comfort food for me. Dice up a few eggs. Add mayo or an oil based dressing. Mix in whatever you like. Fresh herbs, olives, celery and onion all work well. 5. Frijole Mole. 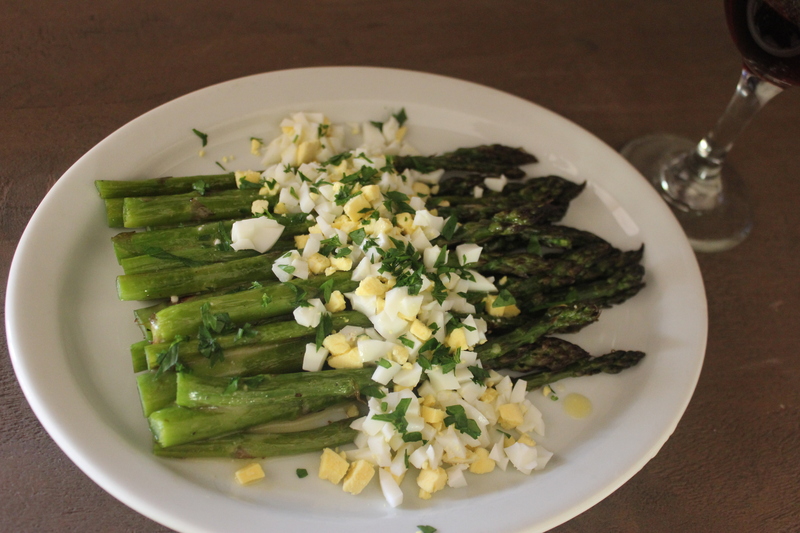 Another type of egg salad I chanced upon in Barbara Kingsolver’s book, Animal, Vegetable, Miracle. Click the link to get the recipe. It calls for green beans and lots of basil, but these days I use broccoli and cilantro because it’s what I have. I prefer diced red onion, raw, for color and crunch. 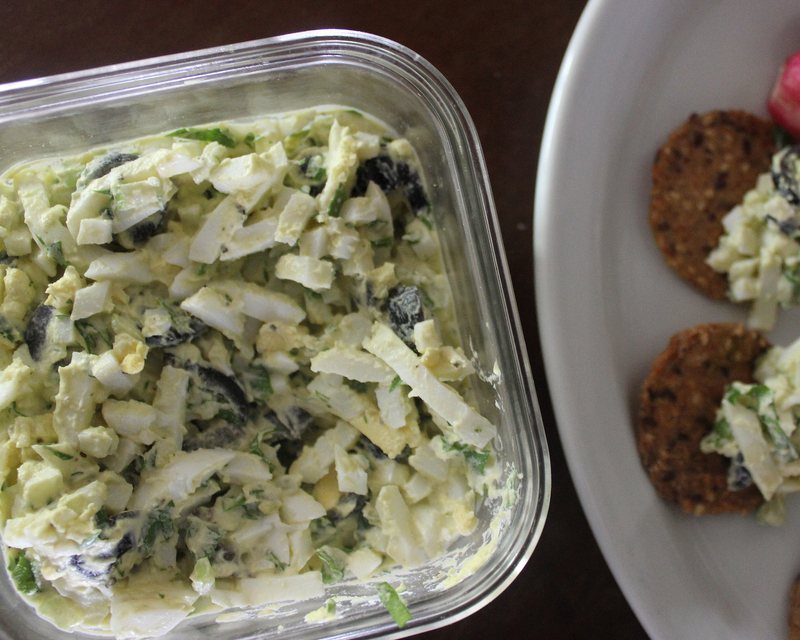 Delicious on bread, sandwich style, or with crackers and veggies. 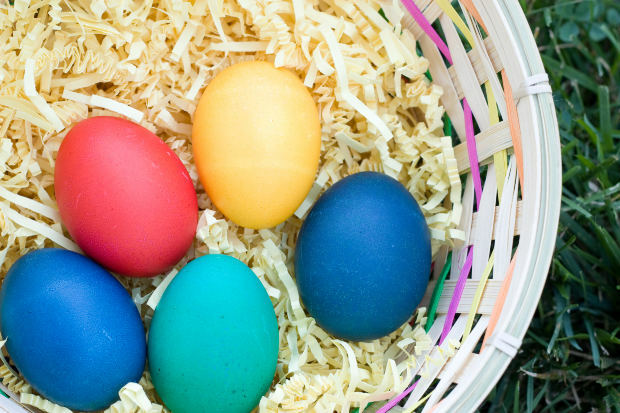 What’s your favorite way to use surplus Easter eggs? Hippity, hoppity… Easter’s on its way. 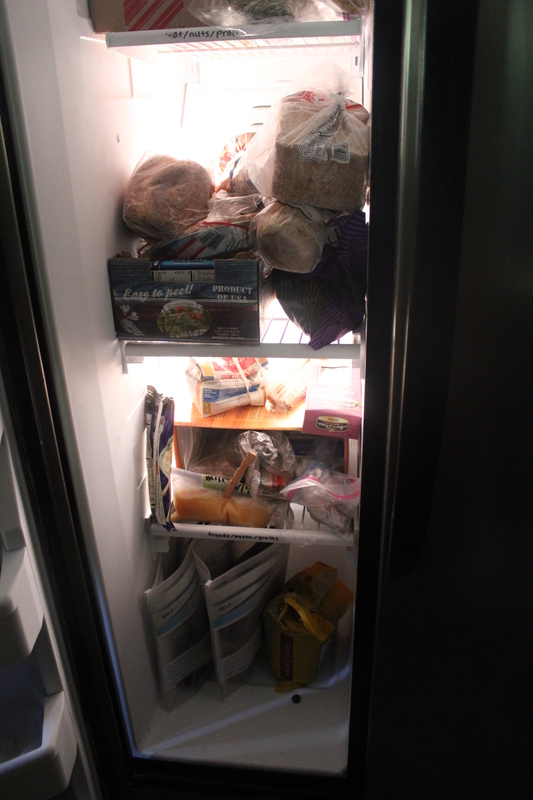 Yesterday I cleaned out the refrigerator, including the freezer. Especially the freezer. It was definitely time for a spring cleaning. A while back I had organized the shelves by food type. Seems I am the only member of this family who reads labels. Nothing was where it should have been. Plus, I had a UFO (unidentified frozen object) with no identification on it whatsoever and little to distinguish it by sight alone (My first mistake.) There was only one option. I placed the bag in the sink to thaw (my second mistake) and went about my business. It felt a bit like choosing a grab bag at a carnival. Hours later, when the hoarfrost had melted away and the contents of the bag were visible, I still had no clue. I gingerly opened the bag and sniffed. Nothing. A finger poke led to the “aha” moment. Roasted bell pepper strips. Late in the season when we were dismantling the garden, and the remaining peppers had all been green. I roasted them in the oven, then preserved them for future use by freezing. 6 months had gone by. I googled a freezer storage chart to discover that frozen cooked vegetables are best within 2 to 3 months. Should I use them or throw them away? Such a dilemma. I haven’t mastered the art of canning yet; the freezer is still the best way for me to preserve food. I decided it was time to learn how to use the freezer safely and more efficiently. 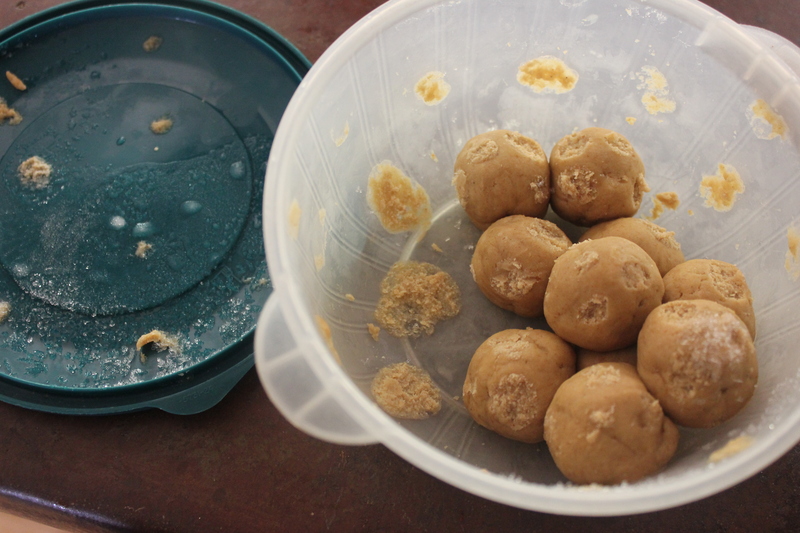 Snickerdoodle cookie dough balls or alien space creatures? 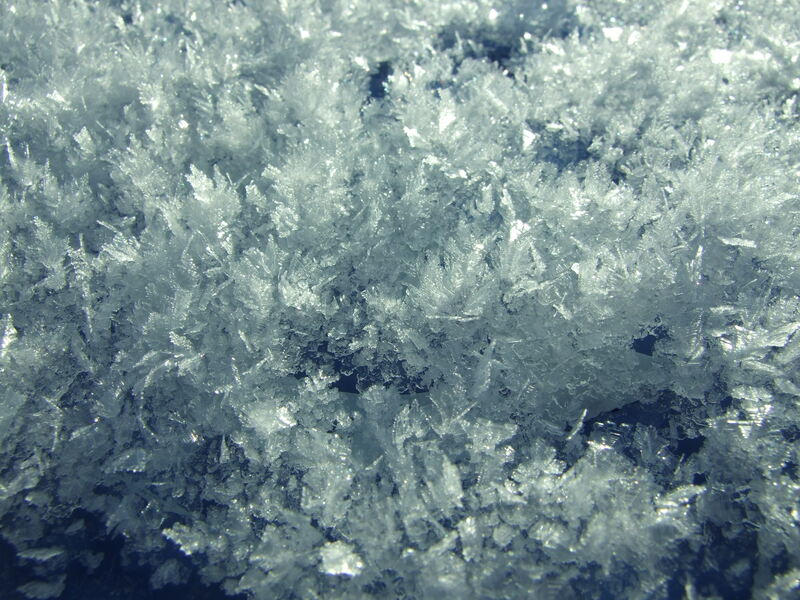 Looking a little frosty there. 1. Obviously, it’s important to label and date all freezer bags and containers even if you think you’ll be using them soon–as I must have done when I chucked those peppers into cold storage. 2. 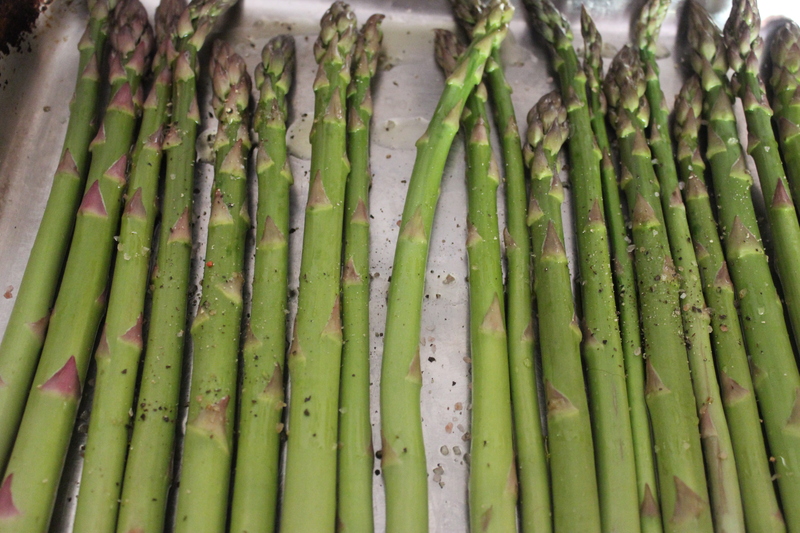 Leave as little air as possible in all freezer containers. Push extra air out of bags before sealing and always use freezer safe containers that fit the amount of food being frozen. I’m guilty, guilty, guilty. 3. Cool hot foods quickly before freezing them by placing the pan of hot food in a large container filled with ice or cold water, stirring to keep the cold circulating. The sink works well for this purpose. 4. 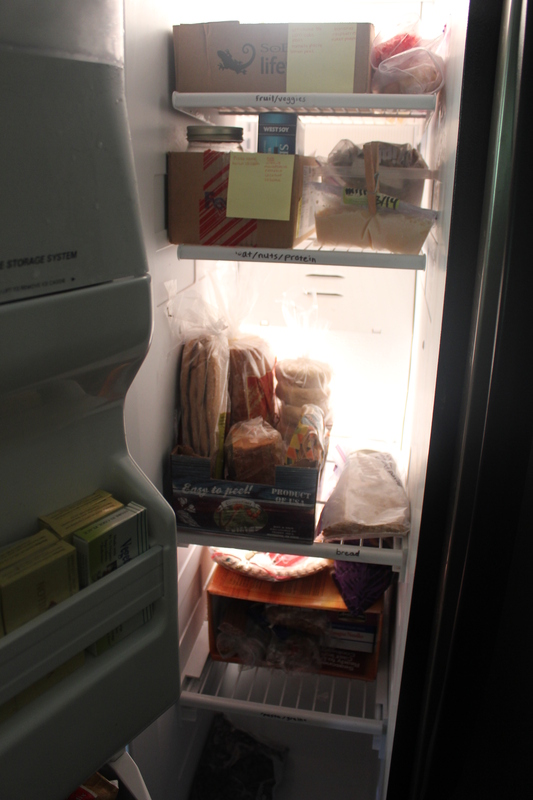 Place food items in the coldest part of the freezer. Keep them away from the door until they’re completely frozen. 5. 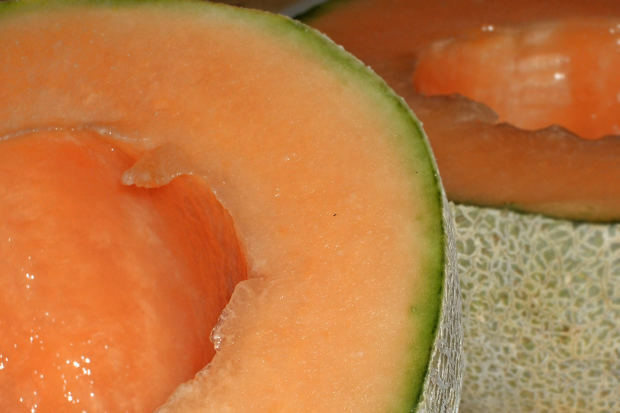 The best and safest way to thaw foods is in the refrigerator. Foods can also be defrosted in the microwave. Only muffins, breads, and other baked goods can safely be thawed at room temperature. Oops. I’ve been living dangerously it appears. So, let’s see. I baked the cookies. Sam will let me know if they’re past their prime. Hey, it won’t kill him, and it’s worth a shot. And we’ll see what I can come up with for those peppers. Got any ideas for me? BEFORE: Who could find anything here? AFTER: Much better. Let’s give this organization thing another go. This afternoon, shortly before picking Sam up at school, I was in the kitchen cooking up…breakfast. It’s true, I’ve been a little preoccupied with breakfast lately, but I’m not completely disoriented. In fact, my sense of timing has never been better. I’m ahead of the game. Tomorrow’s breakfast is done. Lucky for Sam breakfast bulgur makes a great after school snack too. Admittedly, he regarded my offering warily at first. But in the end, he scarfed it down in record time. Not an especially mouth-watering name, but bulgur is really quite tasty and versatile. Bulgur, wheat that has been hulled, dried and ground, is a quick cooking grain frequently used in a middle eastern salad called tabbouleh. But it is so much more than that. 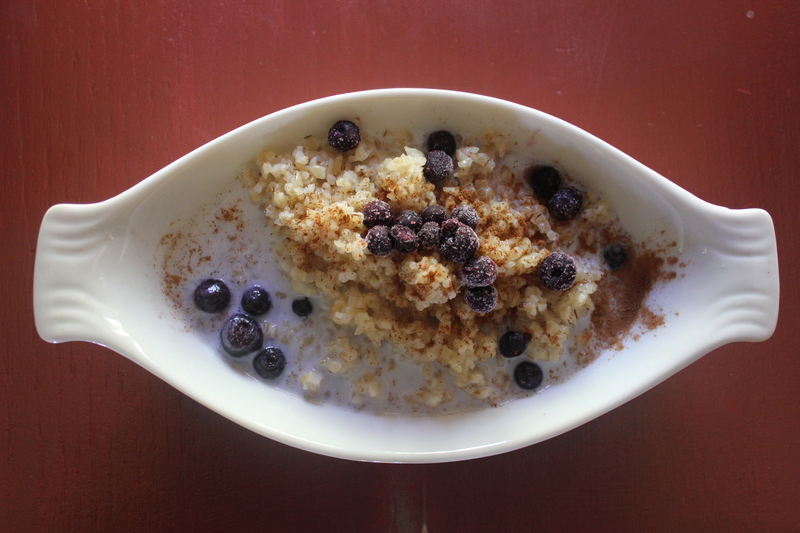 Turns out that bulgur (as well as many other grains) makes a great addition to the breakfast scene and is a simple and delicious alternative to oatmeal. The following recipe uses another handy kitchen tool, the rice cooker. If you don’t have one, you can cook bulgur the traditional way, but the rice cooker gives you especially tender, fluffy results. This useful machine is fitted with a round, removable, aluminum bowl. 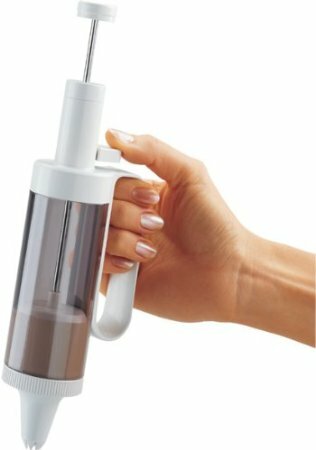 A simple button turns it on, and it goes off by itself when your grain has absorbed all the added liquid. It cooks basic grains in lots of different ways including risotto, pilaf, paella, and breakfast porridge (among other things). Of course, you can cook grains without one–a pot with a lid will suffice, but the rice cooker makes perfectly cooked grains every time. And clean up is about as easy as it gets. 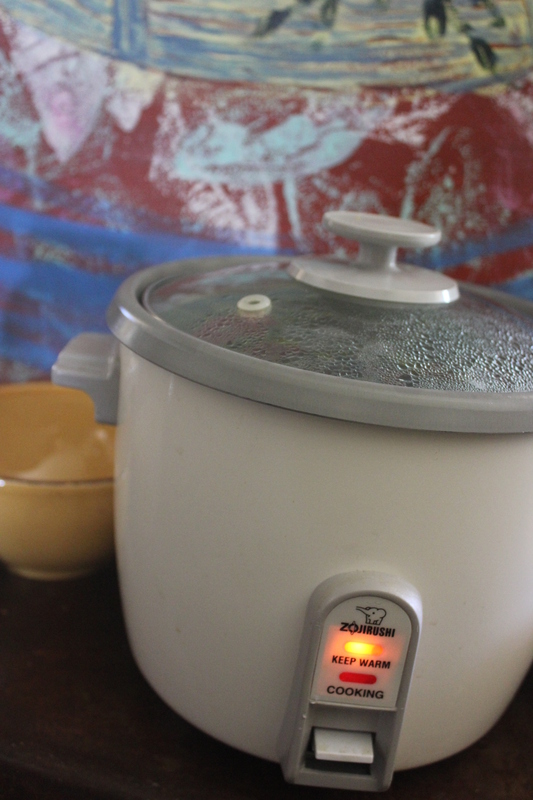 Keep your eye out for a rice cooker at yard sales or thrift stores. Add bulgur to the bowl of the rice cooker. Then add the rest of the ingredients–stirring to combine. The butter will melt during cooking. Cover and cook. When machine switches to “OFF”, let bulgur steam on the warming cycle for 10 minutes. Fluff with wooden spoon and serve nice and hot. If you don’t have a rice cooker, don’t fret. 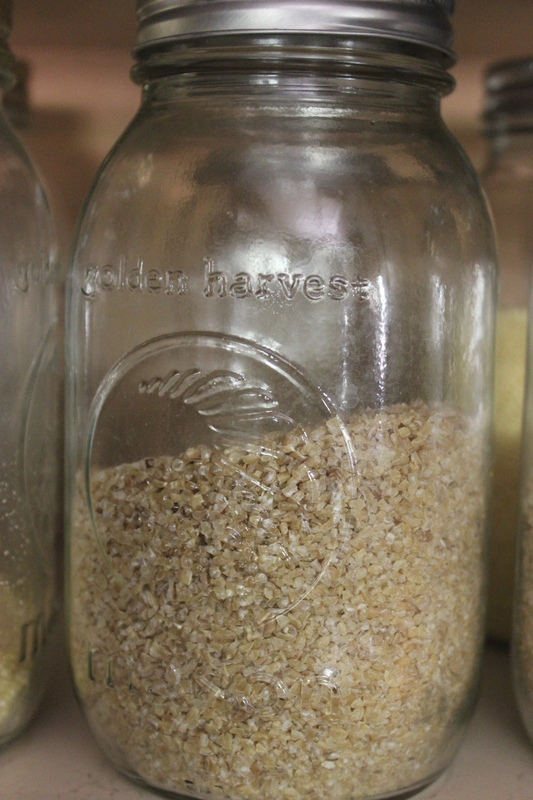 All you have to do boil two cups of water, add bulgur and other ingredients. Cover and reduce heat to a low simmer. Check for water absorption at about 10 minutes. I like eating mine with yogurt, apples and walnuts. Sam enjoyed his with milk, blueberries and cinnamon. 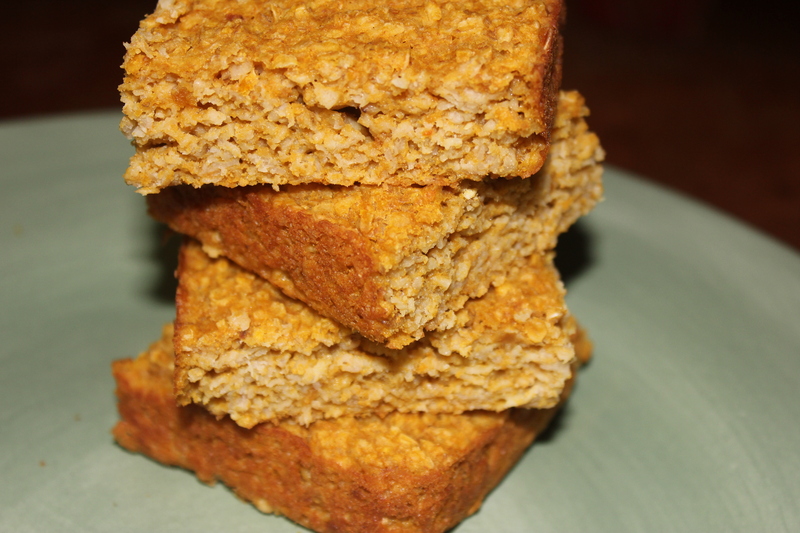 It is lightly sweetened, but a drizzle of honey or syrup can be added if desired. Leftovers? 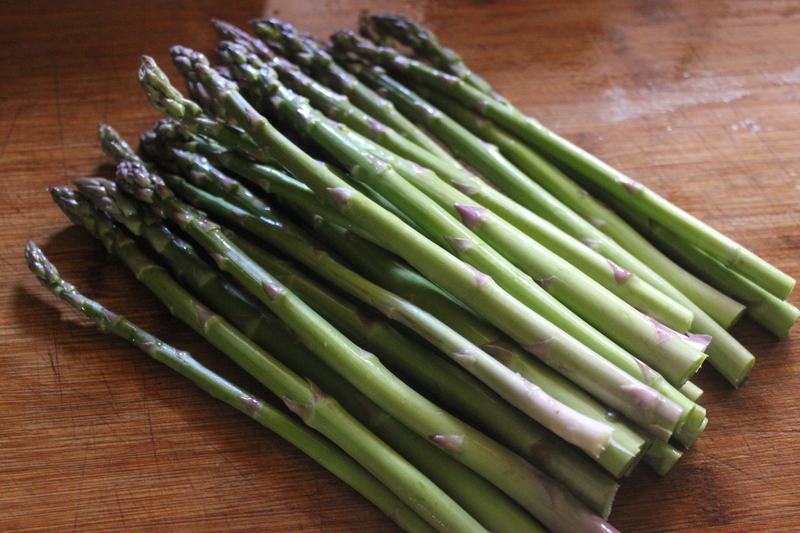 Put them in a container in the fridge and heat them up as needed all through the week! Mornings are just plain busy—if not completely manic. There’s not a lot of time to fuss over breakfast. Since Sam took over putting together his own morning meal, he’s looking for easy. 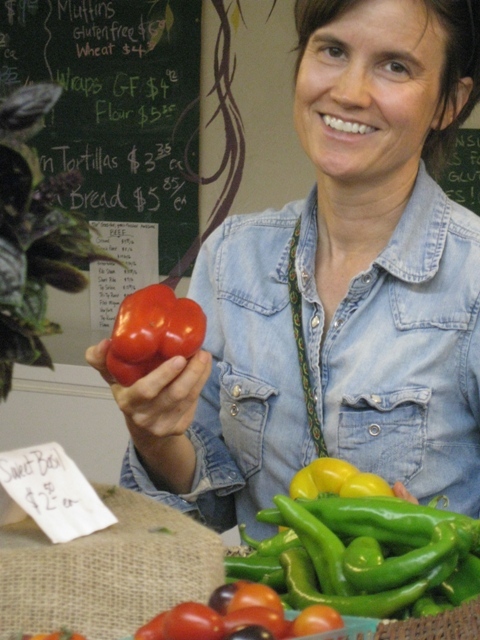 But he also knows the requirements: whole grains, protein and fruits and/or vegetables. So, while he’s quite adept at scavenging, (and what self-respecting teen isn’t) it’s also a comfort to know that Mom has a breakfast favorite ready to eat and only as far away as the freezer. Mix first 5 ingredients in a medium bowl. Blend together well. Stir the 3 remaining dry ingredients together in a medium bowl. Add wet ingredients to dry and stir with spoon until just mixed. Spoon resulting mixture into a greased 8X8 pan and bake for 25 minutes. Check for doneness with toothpick in the center. Bake an additional 5 minutes if needed. Remove from oven and cool on wire rack. 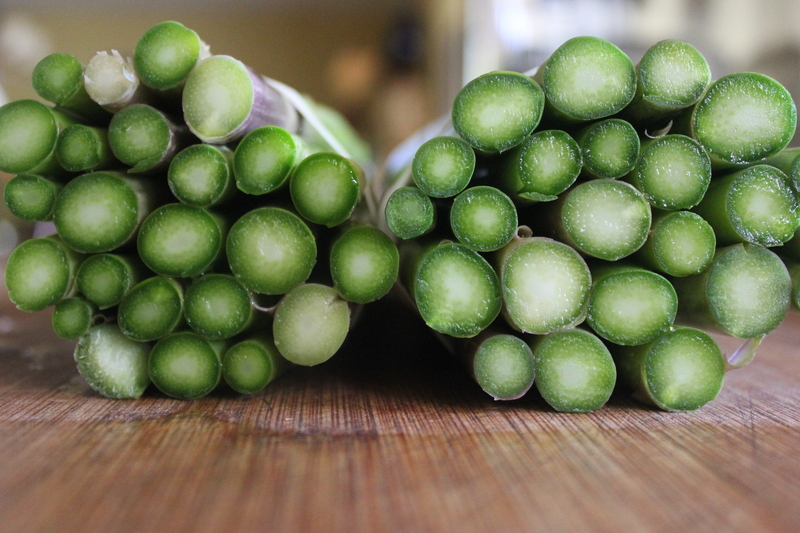 Cut into squares when completely cool. 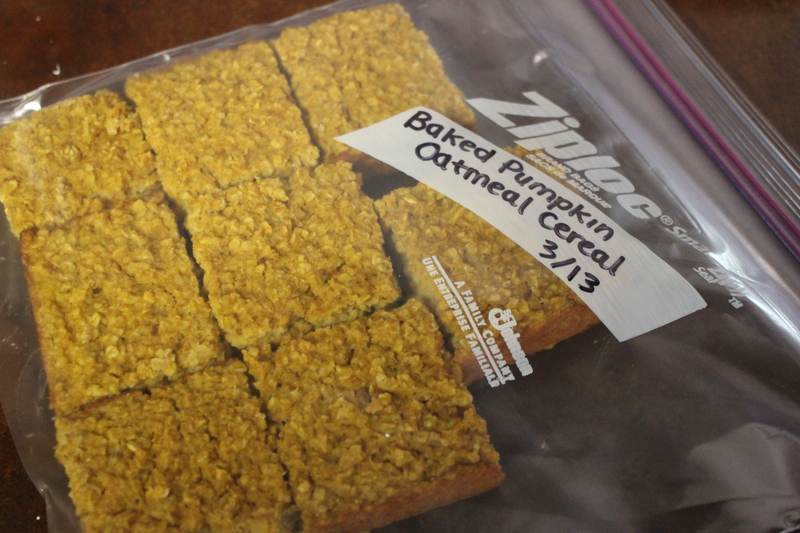 Eat one right away, if you must (I always do) and pack the rest into a labelled freezer zip bag. When ready for breakfast, simply remove a square or two from the bag and heat in a bowl in the microwave. When hot, serve with milk, kefir or yogurt. Top with fresh fruit and a drizzle of maple syrup if extra sweetness is desired. Sam likes to use the remaining pie mix to stir into his yogurt. This is also a breakfast he willingly makes on his own or becomes a snack after school. 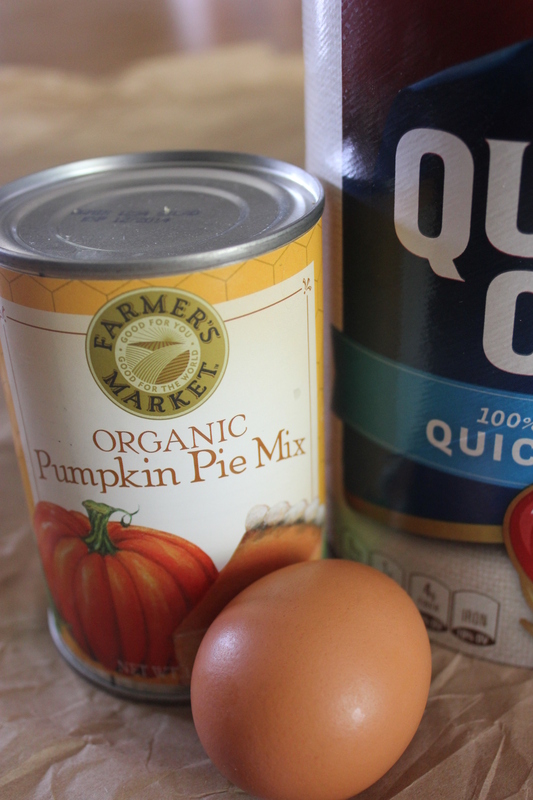 Alternatively, you could simply double the recipe using the whole can of pumpkin pie mix. This recipe makes a delicious, not-too-sweet, hot breakfast in a hurry. The hard part’s done; just heat and eat. 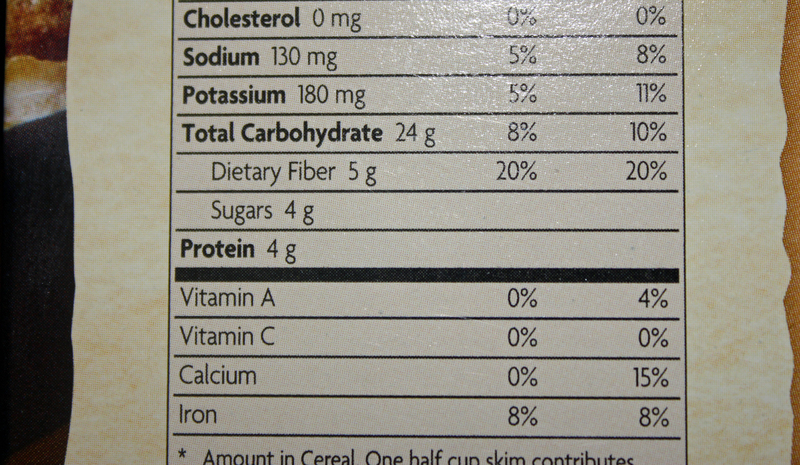 Cold breakfast cereals that follow the Rule of 5: no more than 5 grams of sugar and no less than 5 grams of fiber. Heritage Flakes cereal follows the Rule of 5! Simply choose 1 or 2 food items from each category to create a breakfast that will not only taste good but will keep your brain sharp and your belly comfortably full until your next meal or snack. 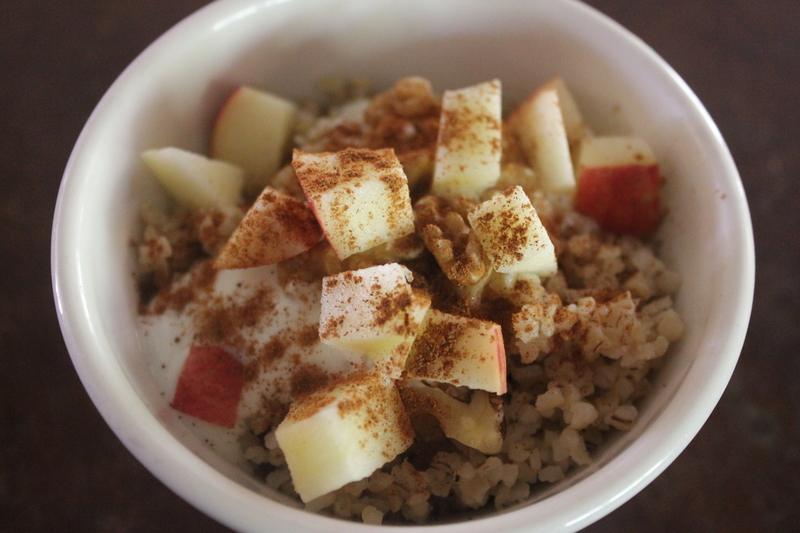 You want a breakfast that will provide complex carbs, fiber, protein and a little fat. Eat separately or combine foods to create a meal that not only feeds you nutritionally but pleases the palate as well. Bean and rice tostada salad, for breakfast, really! Obviously there are lots of options. It’s as easy as 1, 2, 3… What are your favorites? Who knew breakfast could be such fun. Kiwi, yogurt and whole grain toast. Kitchen Disaster. Yes, capital “D”. I was attempting to make yogurt—with the last 1/2 cup of starter yogurt when I was distracted by a conversation we were having about lime juice and fish. Long story. I had just taken the milk off the burner to cool. Only I forgot to cool it down. I immediately poured a nearly boiling cup of milk over the starter yogurt. It curdled. That was that. It happens, OK? I’m not going to cry over spilt or curdled milk. But it was a disappointment. Especially because my real interest was making yogurt cream cheese for the bagels we baked today. Kitchen disasters are a dime a dozen—at least at my house. I’ve learned that it’s all about improvisation and just plain making do. So, that’s what we did. On with the show! *Note: This recipe uses a food processor that can accommodate 4 cups of flour. Alternatively, it can be made using the traditional method of proofing yeast in water, mixing in flours and kneading by hand. Step 1: Add flours, yeast, salt and brown sugar to the bowl of the food processor. Pulse or stir with spoon to mix dry ingredients. Step 2: Put honey and water in a small pitcher. Heat in microwave (or on stove top) until approximately 115-120 degrees. Microwaves vary. Ours takes about 40 seconds. Mix until honey is incorporated in water. Step 3: While processor is running, pour honey/water into intake tube in a slow stream. 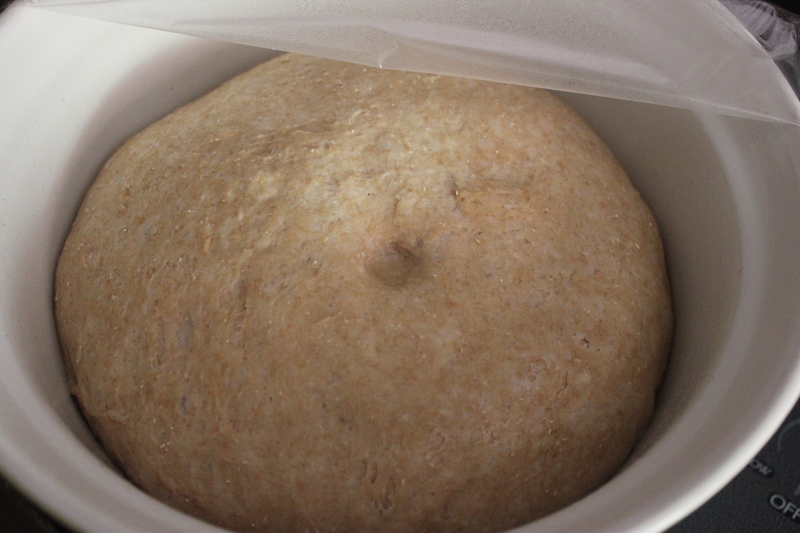 Process is complete when dough is balled up into one glob. Step 5: After an hour, check “doneness” by depressing dough with a fingertip. If it springs back easily, let it rise a bit longer. If it doesn’t, it’s ready to go. 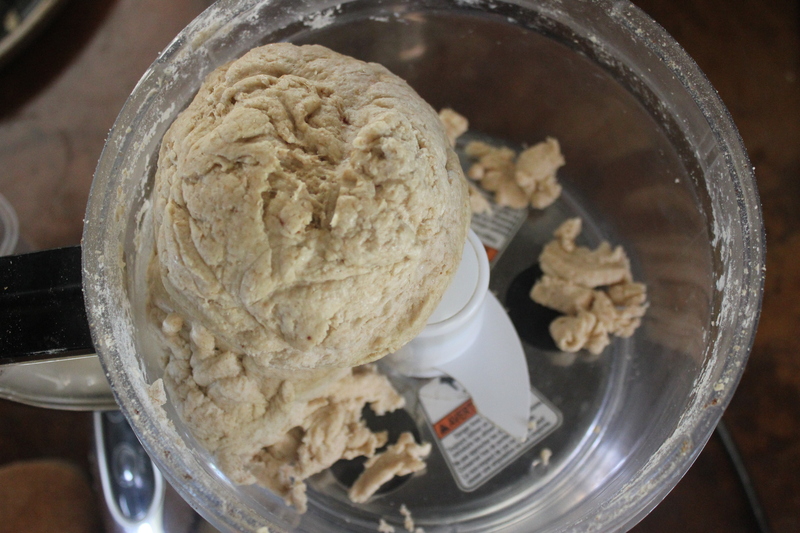 I wrench the dough into two pieces with a twisting method. Then I twist those two pieces into two more and so on until there are 16 total. Don’t worry about weights and measures. They’ll all be refreshingly different from one another. Step 6: Put a large pot of water with the baking soda on to boil while you are forming the bagels. Preheat oven to 425 degrees. 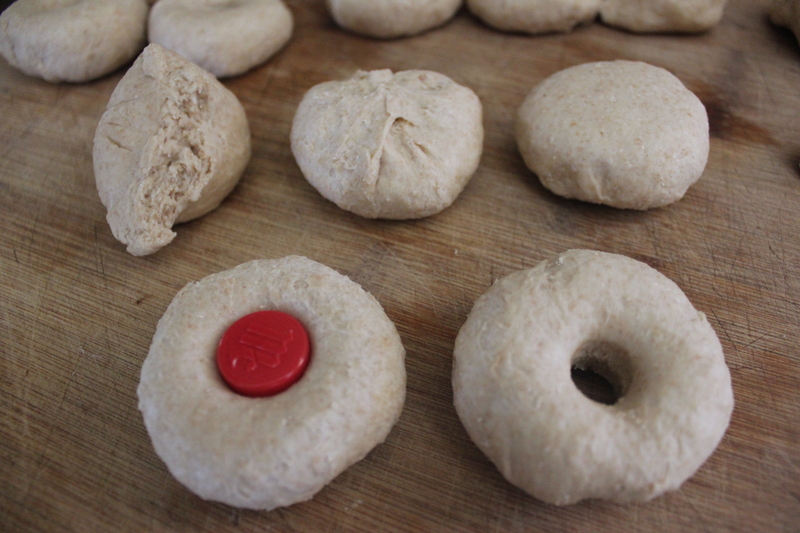 Step 7: Form each small piece of dough into a smooth ball, pinching together on the bottom. Turn over to the smooth side and punch out a hole. I actually use the top of an old extract bottle but use your finger or whatever else is handy. These “bagel holes”, as they are affectionately known in our house, are the most sought after and highly coveted bits. 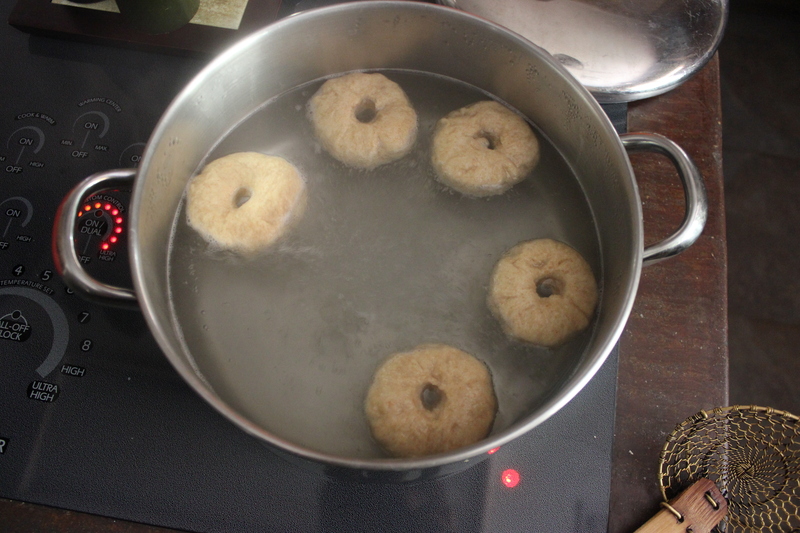 Step 8: Add dough bagels to the pot 5 or 6 at a time. They should sink, then float to the top. Let them boil for 30 seconds on each side. Approximate. Don’t worry too much about exact timing. Then remove them to a clean smooth kitchen towel to drain. 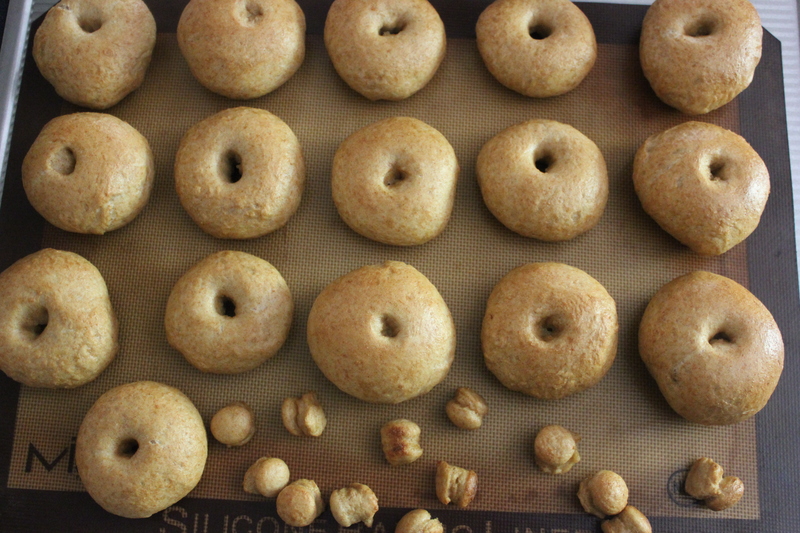 Step 9: Place bagels and bagel holes (don’t forget to boil them too) on a large baking sheet. 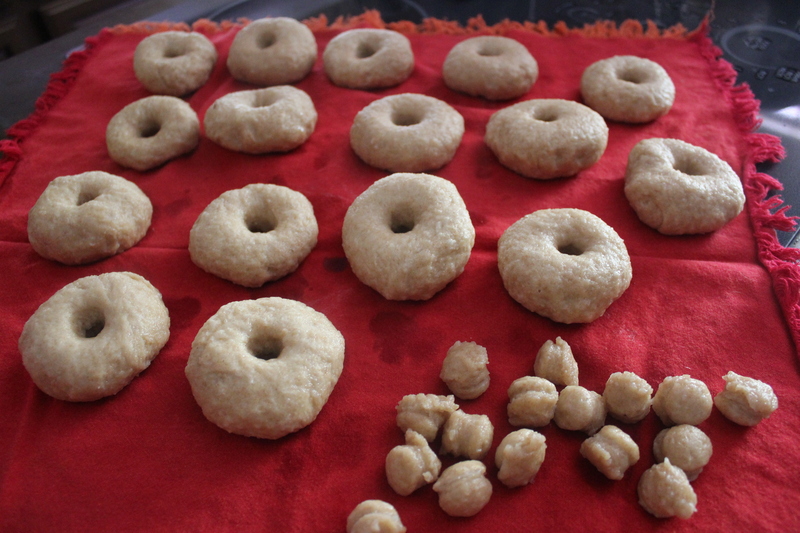 Bake for 10 minutes and check for doneness–golden tops and lightly browned bottoms. Cook for an additional 5 minutes or more if needed. Step 10: Remove from oven and place on wire rack to cool. Try not to fight over the bagel holes. When cool, you’ll probably just gobble them plain, but later on, you’ll definitely want some yogurt cream cheese. 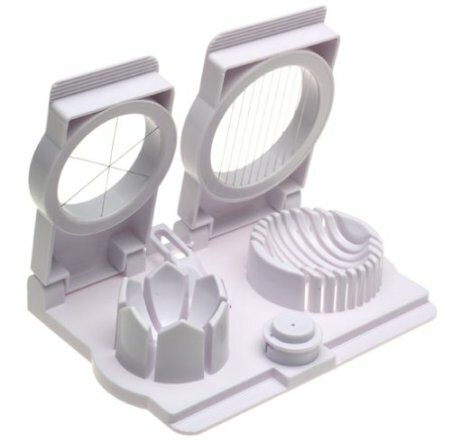 Kids love this project. Give them some dough and let ’em go. They could be any kind of shape after all. Have fun with it!